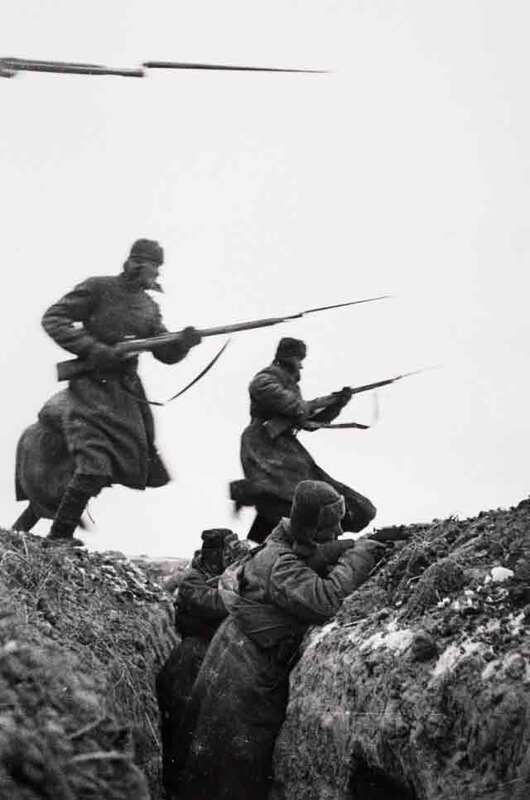 A Soviet Red Army bayonet attack on the outskirts of Moscow on 15 November 1941. Eastern Front: Two days after General Franz Halder at the Orsha Conference directed the Eastern Front generals to continue attacking toward Moscow despite the deteriorating weather conditions, the Wehrmacht resumes Operation Typhoon on 15 November 1941. This offensive is not one that the generals at the front particularly wanted to mount, but they had no say in the matter. The weather is affecting both sides, but the Soviet troops are more accustomed to the climate than the invading Germans, who have never encountered conditions like the fall Rasputitsa and whose equipment is not designed for frigid weather. In addition, the German soldiers do not have adequate winter clothing and many are succumbing to frostbite. The push toward Moscow is taking on a desperate air as the city promises warm accommodations and a defensible perimeter compared to camping out in the surrounding forests and fields. However, at least the ground has frozen which enables the panzers to move again. For better or worse, the hour of decision is at hand. 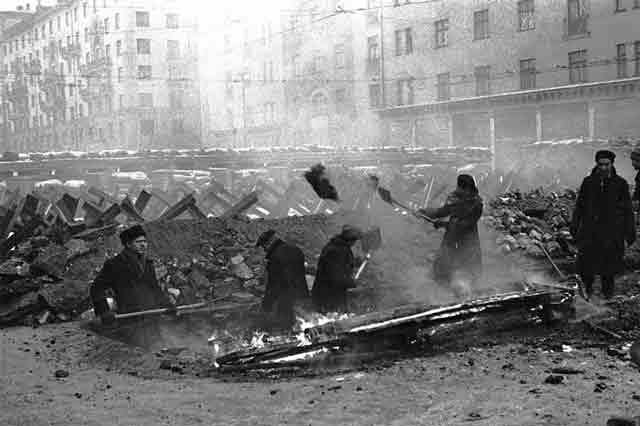 Civilians digging ditches in Moscow, 15 November 1941. The Germans resume their attack on Moscow today from three directions: west, northwest, and south. The plan is that General Guderian's Panzer Army 2 will finally conquer and/or bypass Tula and pose a real threat from the south while Field Marshal von Bock's forces continue along the Smolensk and Leningrad highways. The Red Army, for its part, has had time to reinforce all three avenues of attack and is throwing in some spoiling attacks of its own in order to disrupt the Germans' plans. 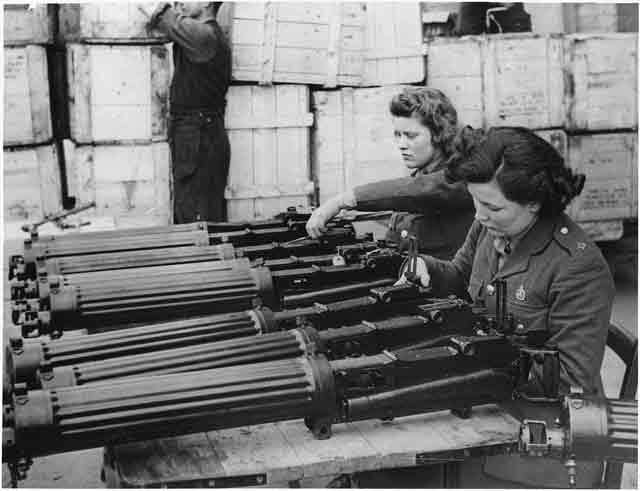 Water-cooled machine guns just arrived from the USA under lend-lease are checked at an ordnance depot in England, November 1941 (FDR Presidential Library Photograph Collection. NPx # 65694(15)). The offensive resumes with some successes but also some disappointments. One of the many problems for the Germans is that they have sustained heavy battle losses just getting into position to attack Moscow. South of the city, Kampf Gruppe (battle group) Eberbach has never really had a break in the fighting and it is now down to 50 "runners" (usable panzers). Because Guderian has concentrated virtually all of his army's panzers into Colonel Eberbach's unit, he has no reserve to reinforce the attack. Eberbach's panzers are close to encircling Tula and controlling the Elets-Moscow highway, but the Red Army has enough forces at hand to prevent this. Today's action brings the Germans no closer to a breakout. 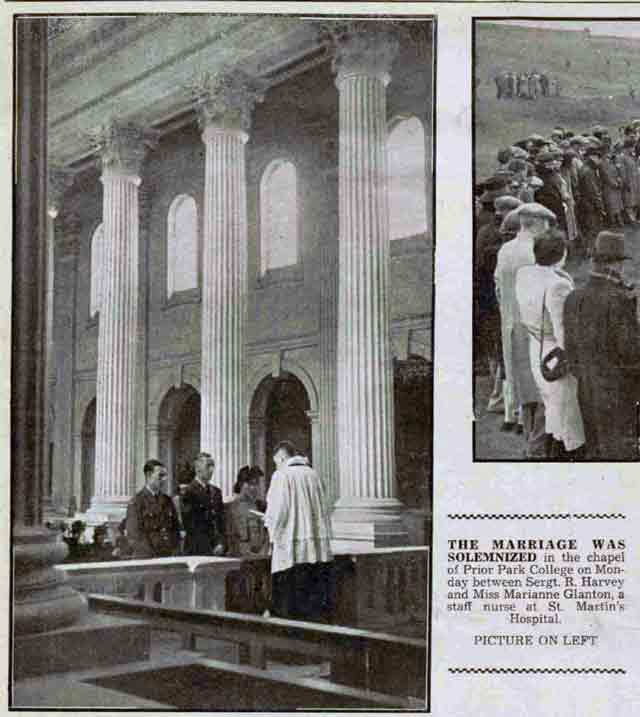 A marriage in Bath, from the 15 November 1941 Bath Chronicle and Weekly Gazette. On the northwest axis, Ninth Army puts its troops in motion south of Kalinin and, according to General Halder in his war diary, "experiences something new in this war." An infantry corps which is not tasked with a key role advances and finds the Soviet Thirtieth Army not offering any resistance at all. It retreats without firing more than a perfunctory shot or two. Everyone on the German side is elated and, not for the first time nor the last time, thinks that the final collapse of the Red Army may be at hand. Field Marshal von Bock quickly plans to add Panzer Army 3 and Panzer Army 4 to the general offensive on the 16th. 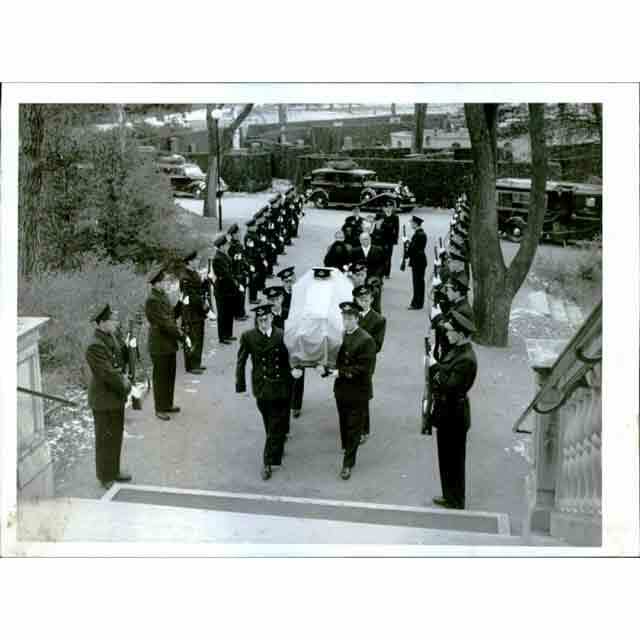 Burial of Swedish cadet Bengt Hans Borje on 15 November 1941. The situation at Balaklava has become critical. The enemy has seized Height 212.1, the last before Balaklava. We must recapture the heights, for they are key positions on this axis. Should we succeed, then the entire enemy grouping in the area of Balaklava will fall into a trap. At the same time, we [must] reinforce the defense of the whole southern sector. In addition, we must attack the enemy's flank. Petrov plans his counterattacks, but they are going to take several days to prepare, and it is unclear if his troops can prevent a breakthrough into the port itself in the south. If they can, though, there is the possibility that operations on both sides will die down during the worst winter months and leave the Soviets in possession of Sevastopol until the spring. Reich Commissioner for Ostland Hinrich Lohse. 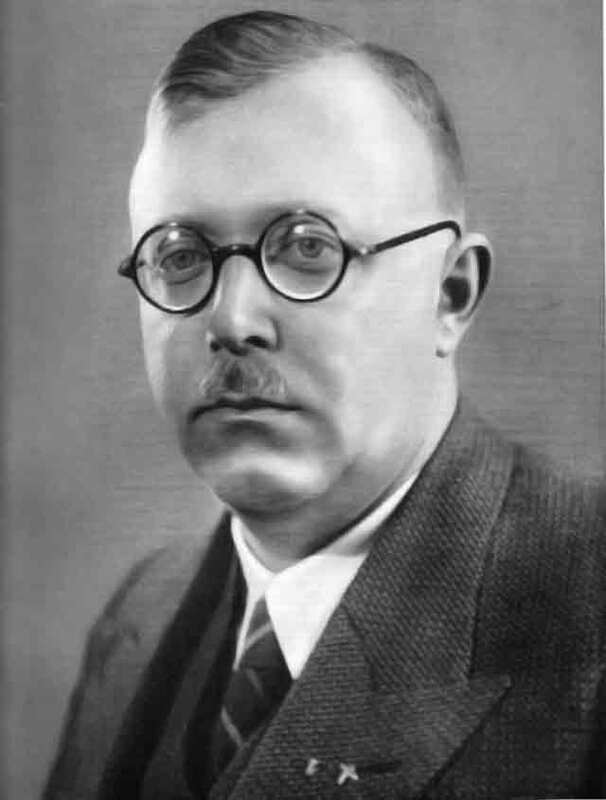 Holocaust: Reich Commissioner for Ostland Hinrich Lohse writes to Alfred Rosenberg, Reich Minister for Eastern Territories, about his recent activities. The elimination of Jews from the East is of course an urgent mission, but their liquidation must surely be reconciled with the necessities of the war economy. Rosenberg does indeed "mean that all Jews in the East should be liquidated," as shall become clear soon enough. 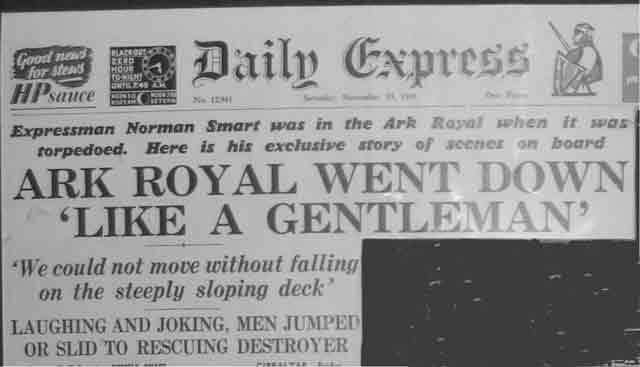 The Daily Express of 15 November 1941 notes in its main headline that "Ark Royal Went Down 'Like a Gentleman.'" Aircraft carrier HMS Ark Royal sank on 14 November 1941 after being torpedoed in the Mediterranean near Gibraltar by U-81. In summary, 15 November 1941 is a mixed day for both sides on the Eastern Front. The German attacks gain some ground in some places but not in others. However, the Wehrmacht is not just fighting the Red Army, it also is fighting the weather, and that battle is going poorly and getting worse all the time. There also are portents of sinister things to come in 1942 and beyond. 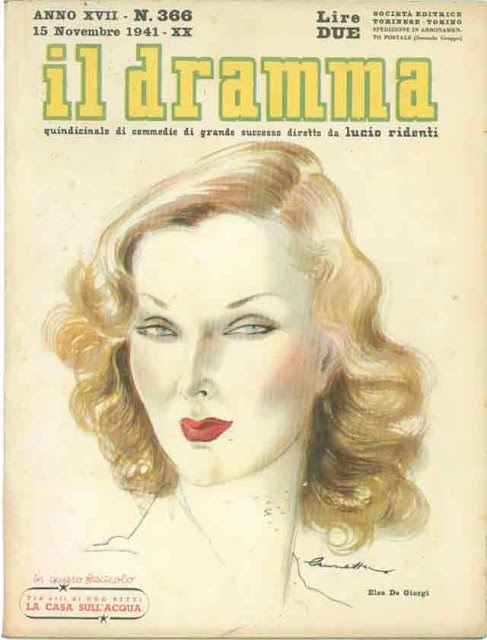 Il Dramma, 15 November 1941.